Apple’s next-generation iPhone is expected to sport the fruit of AuthenTec’s acquisition KGI Securities, analyst Ming-Chi Kuo says. This means Apple will find a way to integrate the fingerprint sensor into the home button, keeping its minimalist design with the iPhone 5S. This move could give Apple the “just works” advantage once again, as it has only one button under the display compared to Android and Windows Phone devices, which have more than one button, and the majority of them lack the mechanical push Apple’s Home button has. Integrating the fingerprint scanning on competing devices would be less intuitive, and could frustrate users, Kuo added. The new identification method could boost the iPhone’s security and replace usernames and passwords with a simple, efficient and convenient technology. Also, Kuo expects the fingerprint scanner to integrate with applications such as Passbook. 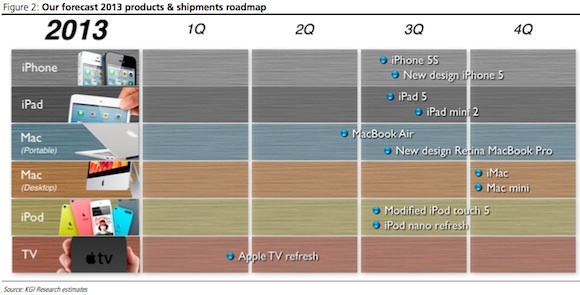 Furthermore, Kuo mapped out his forecast for this year’s products and shipments of Apple products. In an interesting move, Apple could place the iPad 5 and iPad mini 2 launch in the third quarter, Kuo believes — contradicting earlier forecasts and rumours of a March launch — and expects the iPad mini 2 to feature a Retina Display. 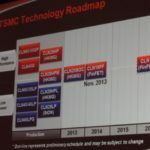 Also, in line with earlier rumours of a cheaper, low-cost iPhone, Kuo expects Apple to introduce a new-design iPhone 5 alongside the iPhone 5S this year as the company tries to meet market demand for an affordable iPhone, which he believes will feature an A6 chip, have plastic casing, and be available in six colors. According to Kuo’s forecast, we can expect only an Apple TV refresh in the first quarter, and there will be no television set this year, but we will see Apple dumping the non-Retina display for its MacBook Pro models.